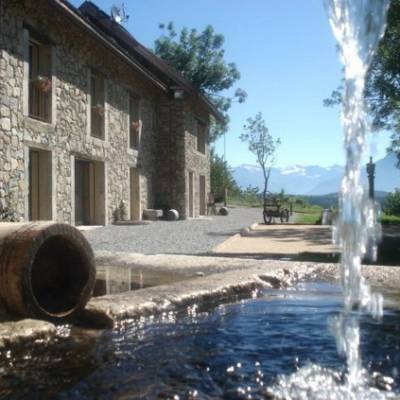 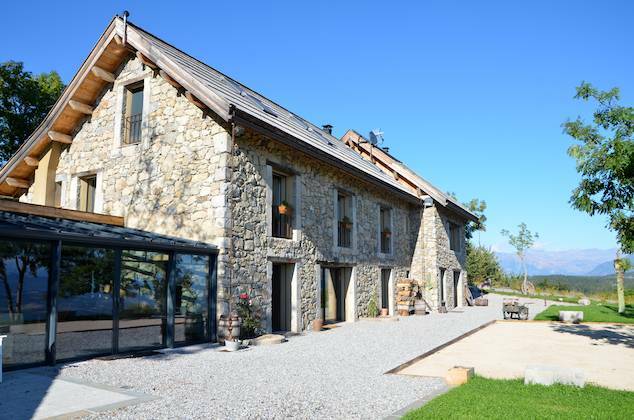 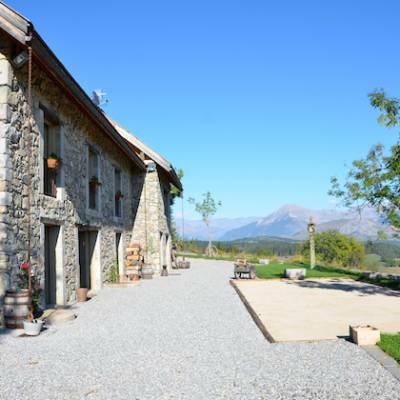 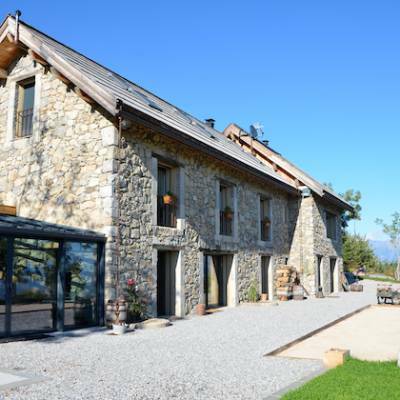 This is a beautifully renovated luxury farmhouse guest house with a spectacular panoramic view over the Gap and Champsaur valleys. 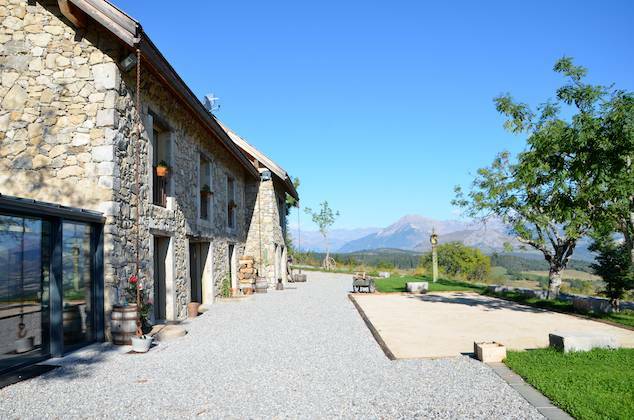 The property is a traditional 18th century stone farmhouse and the original stonework has been preserved wherever possible. 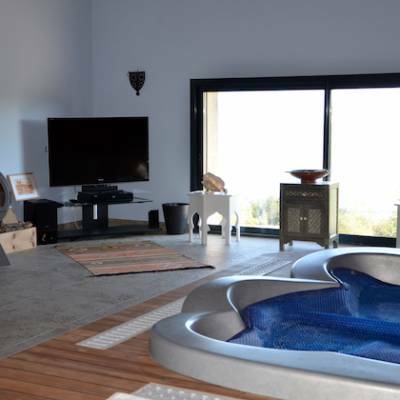 Inside it has been beautifully renovated to a very high standard in a luxury, modern contemporary design using high quality fixtures and furnishings with every attention to detail. 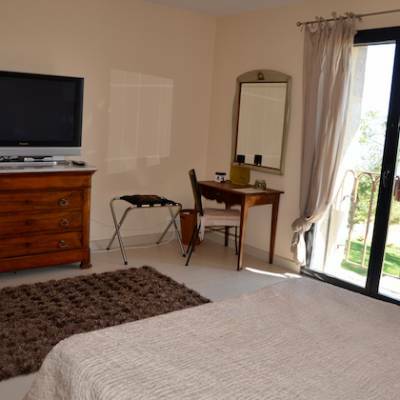 All bedrooms have ensuite bathrooms with walk in showers, flat screen TV and a mountain view. 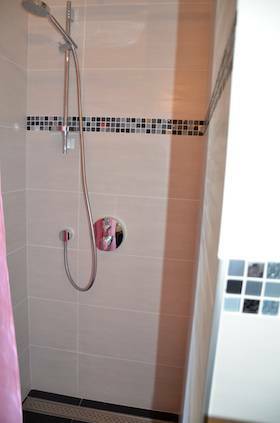 There are three large ensuite double bedrooms (king size beds) on the same floor, all unique with their own style. 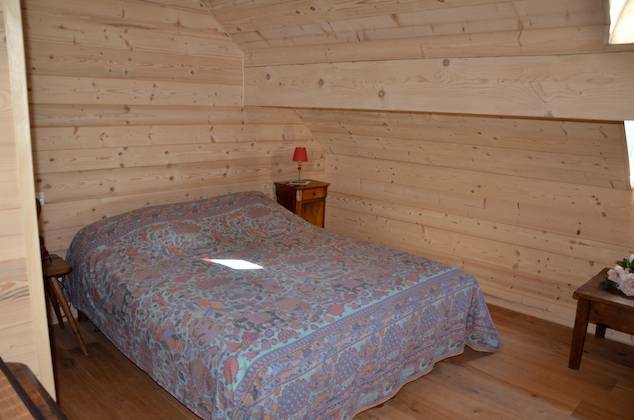 On the next floor up there is a family suite with two double rooms (standard double beds) and a shared bathroom. 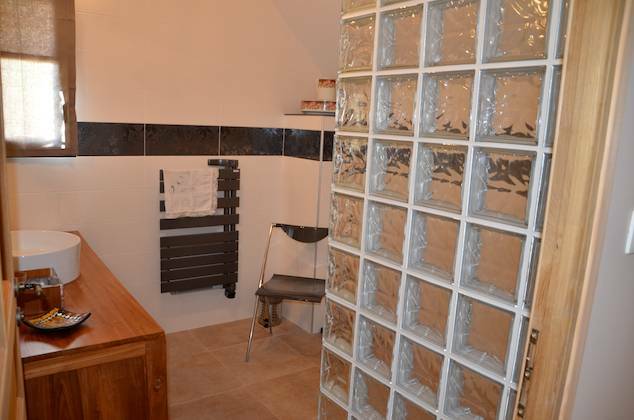 These rooms are smaller and have Velux type windows. 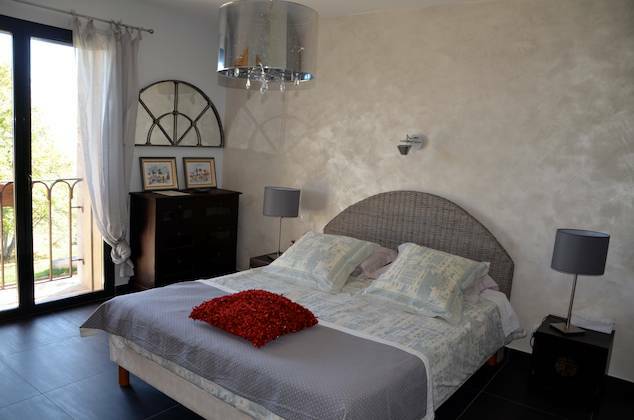 They are perfect for teenagers of parents in one of the luxury double rooms downstairs! 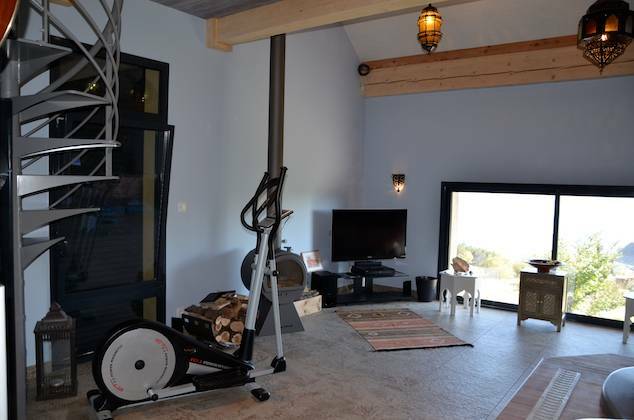 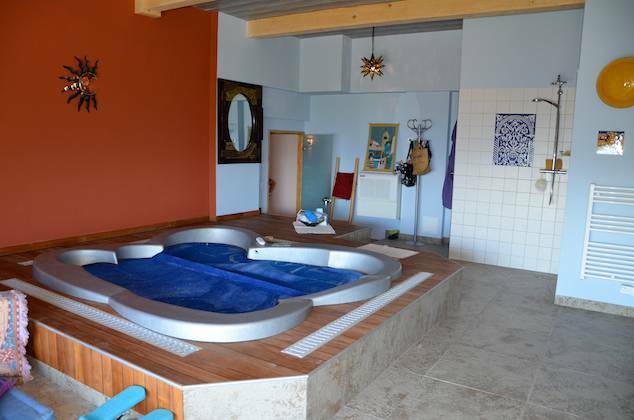 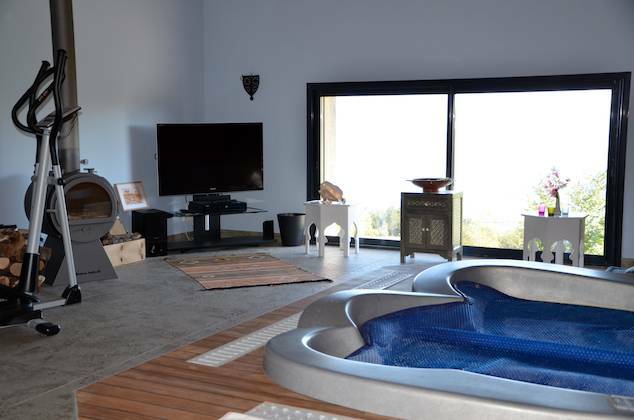 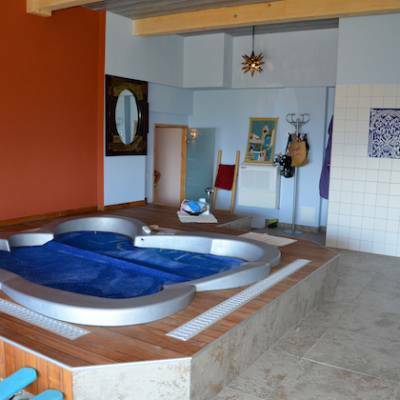 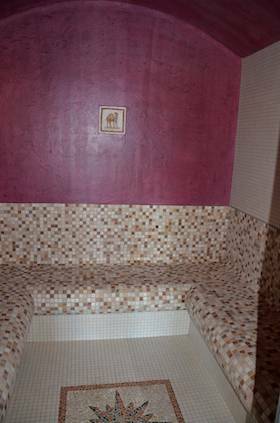 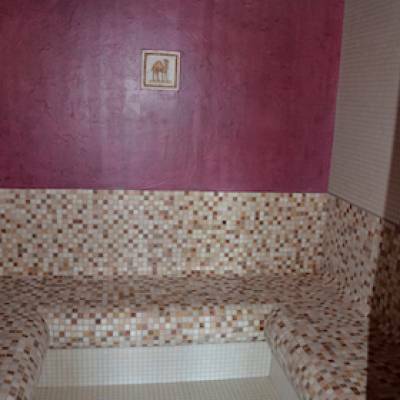 For guests there is a relaxation area with spa and steam room, exercise bike and of course a view! 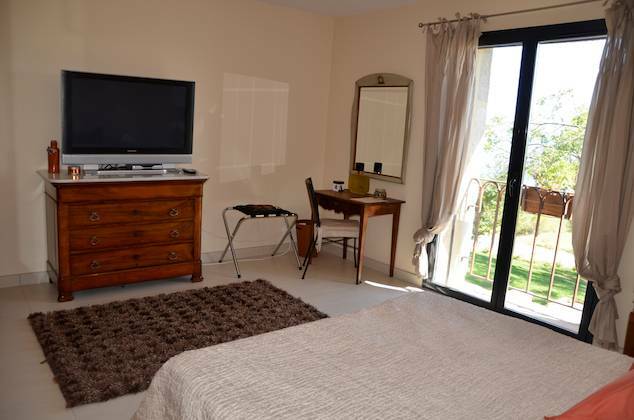 Downstairs guests have exclusive use of the breakfast room with lounge area and tea and coffee making facilities. 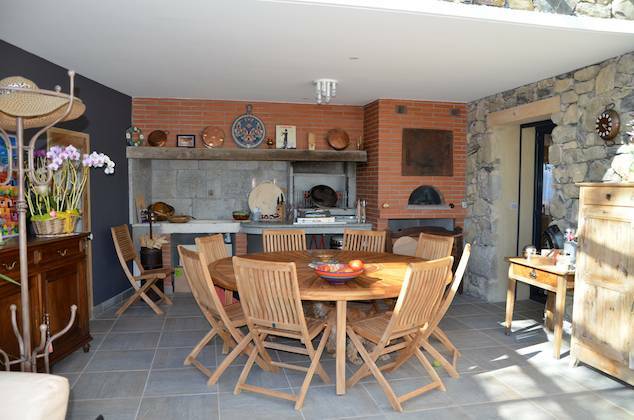 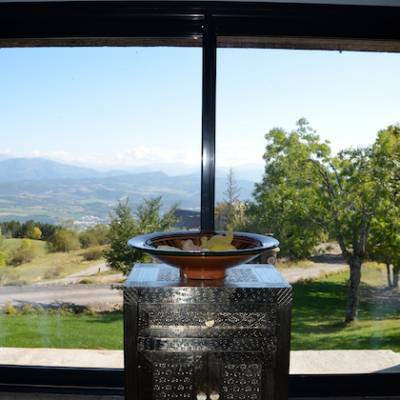 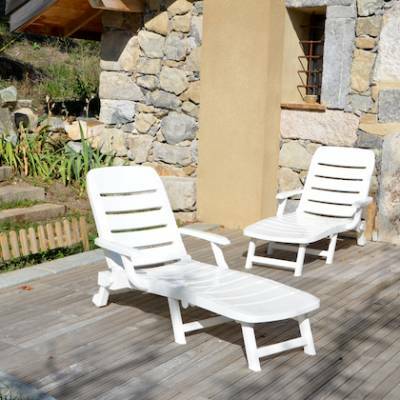 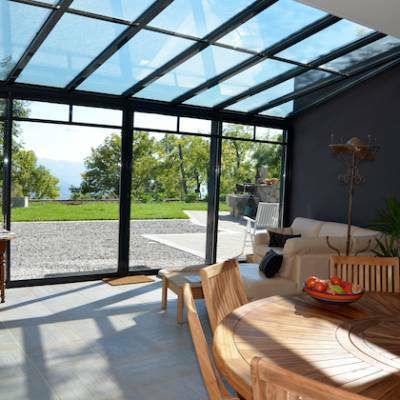 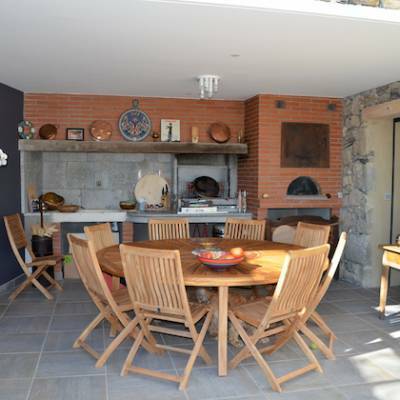 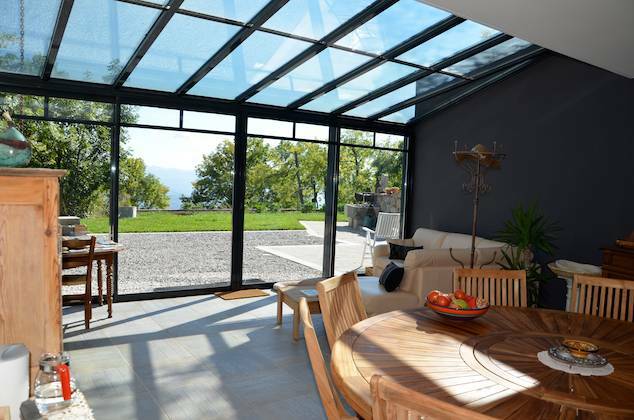 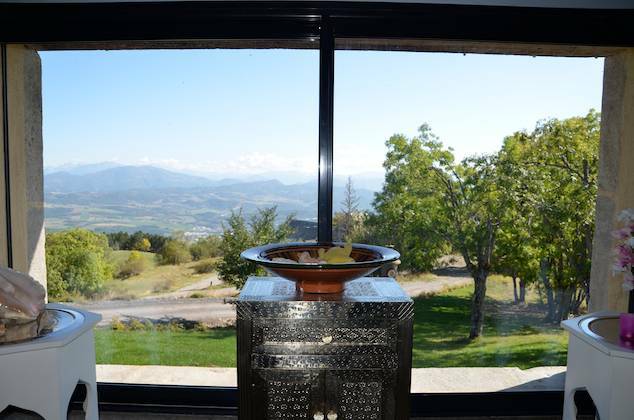 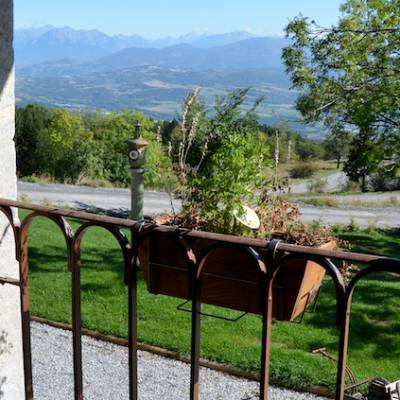 Outside there are gardens and a sun terrace overlooking the valley to make the most of this beautiful location! 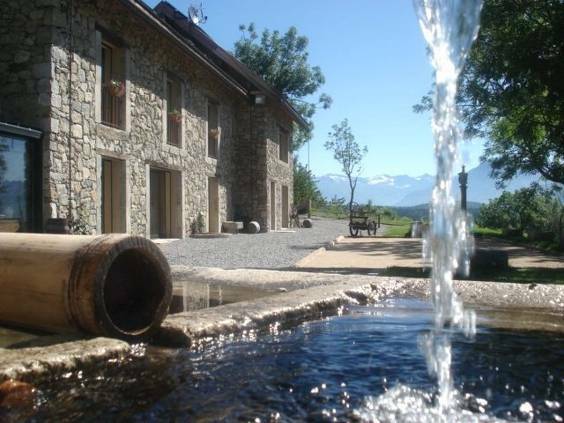 Please note that the last part of the access road to the farmhouse is a farm track so please drive carefully. 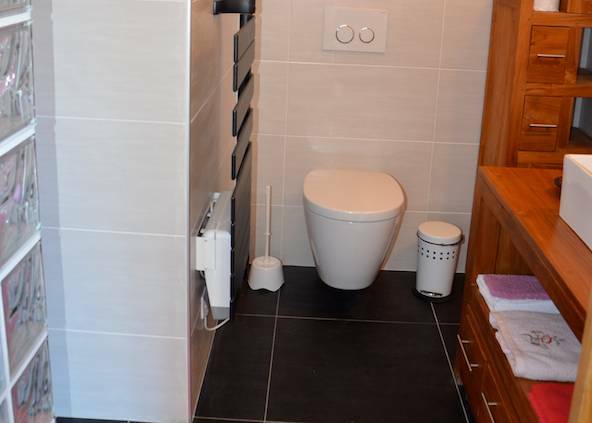 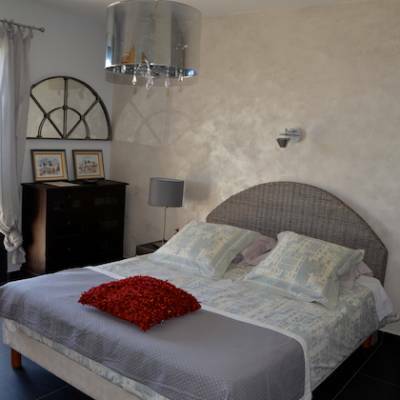 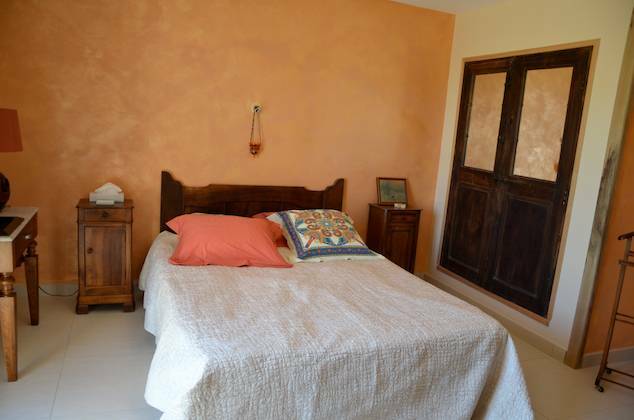 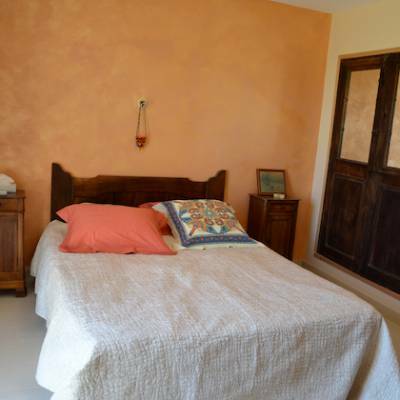 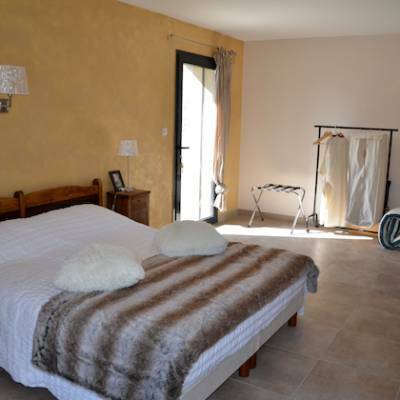 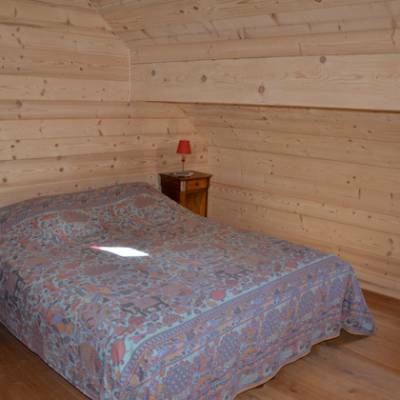 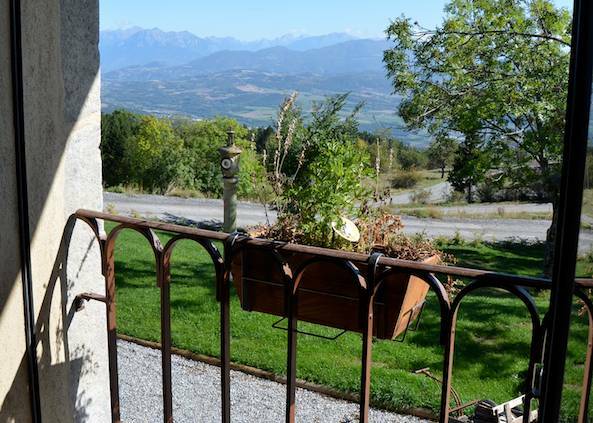 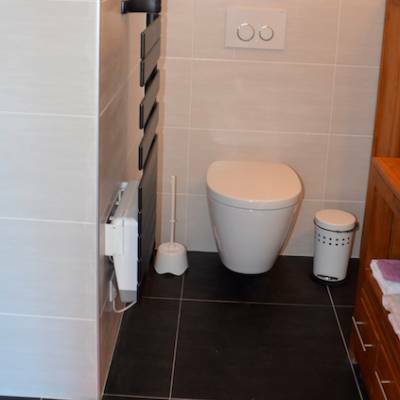 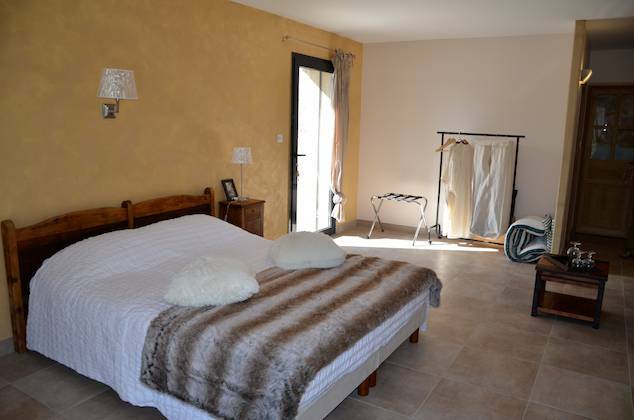 A beautifully decorated spacious double bedroom with king size (160cm x 200cm) bed, a French window with mountain views and an ensuite bathroom with walk in Italian shower. 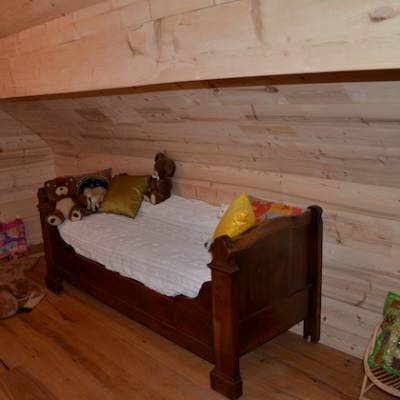 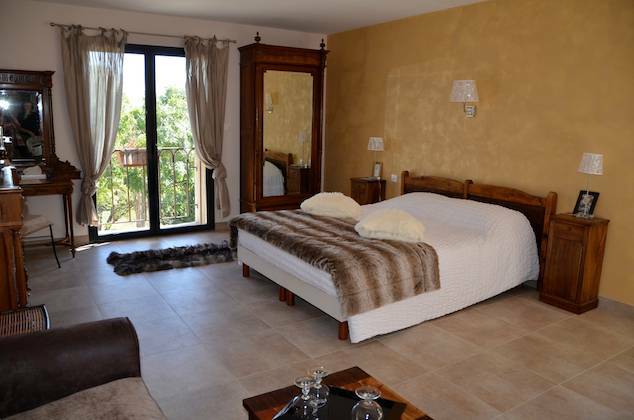 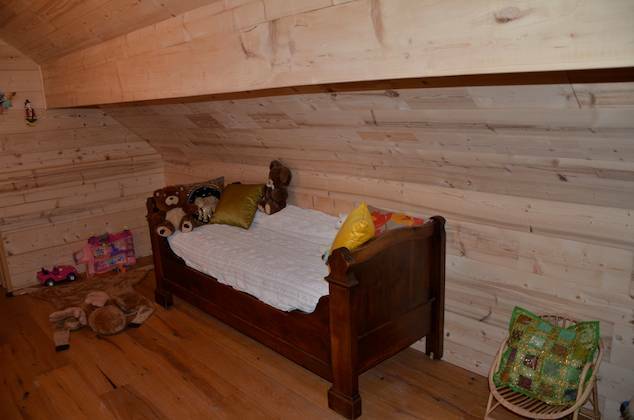 This is the largest of the three double rooms (35m2) and it is beautifully decorated with a king size (160 x 200cm) bed and a balcony overlooking the mountains. 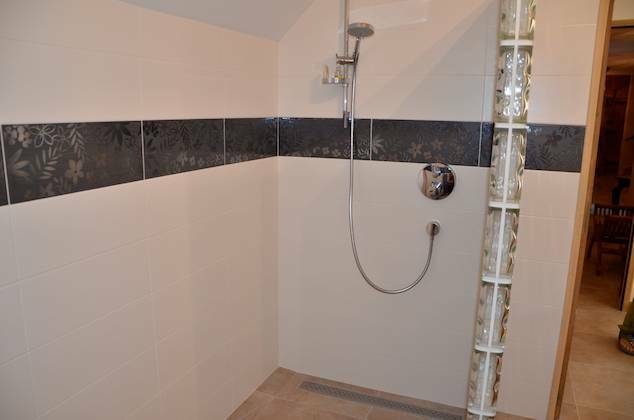 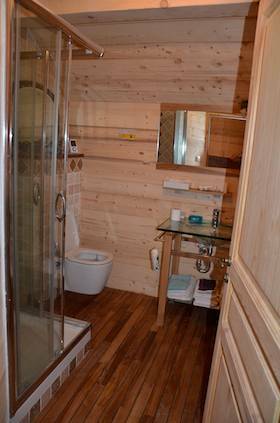 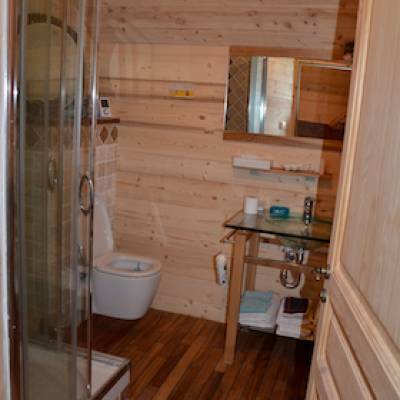 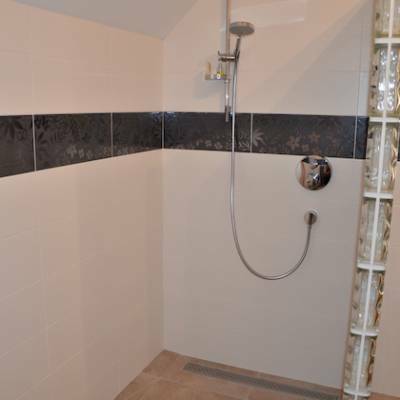 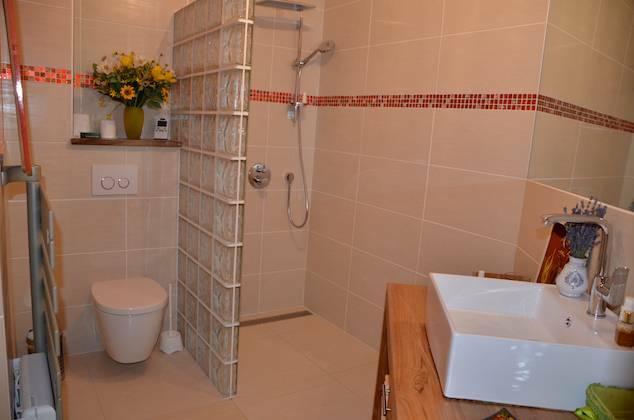 The bathroom is ensuite with a walk-in Italian shower. 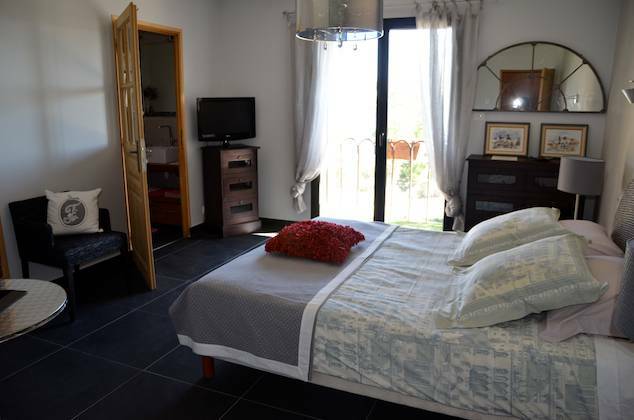 A beautifully decorated spacious double bedroom with king size (160cm x 200cm) bed, a large window with mountain views and an ensuite bathroom with walk in Italian shower. 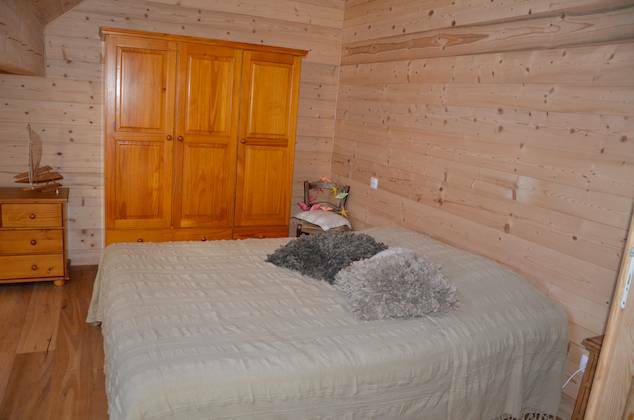 Breakfast is a continental breakfast and is included. 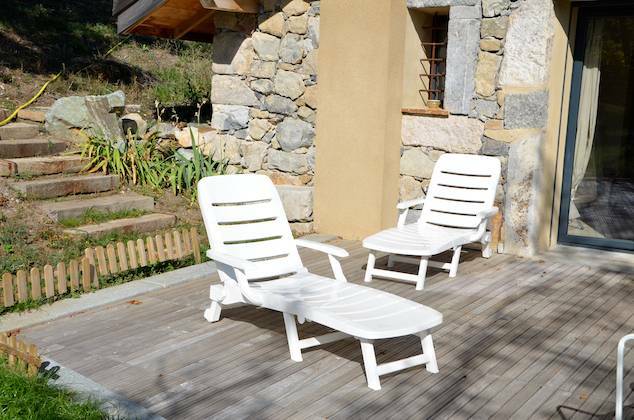 The town of Gap is a 10 minute drive away with a full range of restaurants, bars and shops and there are plenty of other choices in and around the area on your way to and from the various activities. 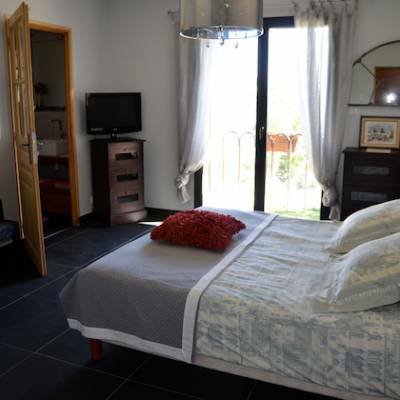 Check in is after 16H00 and check out is before 10H00. 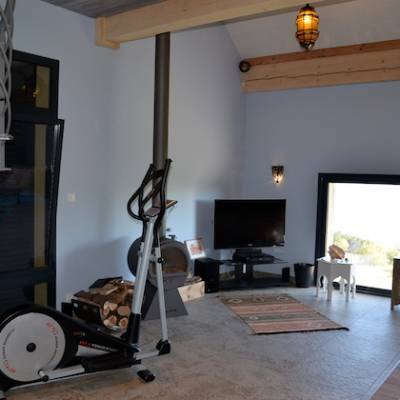 This property operates a no smoking policy.